Dharamshala: Europe leg of Flame of Truth relay concluded on Universal Human Rights day on December 10, the 23rd anniversary of awarding of Nobel Peace Prize to His Holiness the Dalai Lama. The relay was organised by Office of Tibet, Geneva & Tibetan community, Switzerland & Liechtenstein. Dharamshala: The Department of Education of the Central Tibetan Administration (CTA) is pleased to announce a new scholarship scheme based on merit, need. The new scheme aims to provide incentives to talented and hard-working students while also being mindful of the needs of the economically disadvantaged students and families. It aims to fulfil the vision of His Holiness the Dalai Lama and reflects the 14th Kashag prioritisation of education. 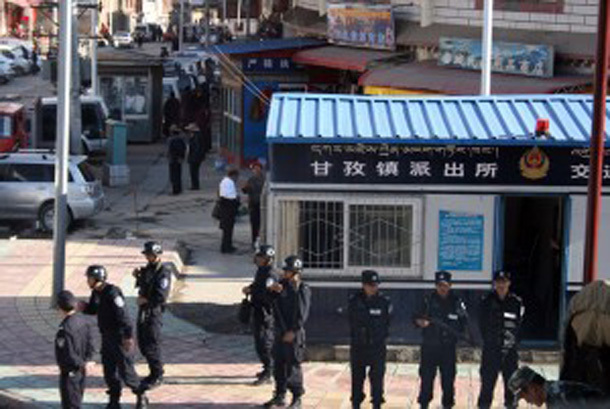 Dharamshala: - As thousands of Tibetans in Rebkong, Amdo in eastern Tibet (Ch: Qinghai Province) staged protests  against Chinese rule after the 63rd self-immolation protest , exiled Tibetans and Tibet campaigners around the world have issued China’s leader-in-waiting, Xi Jinping. New Delhi, 21st September, 2012--Days are becoming critical for TYC's Indefinite Hunger Strike. Dhondup Lhadar, Penpa Tsering and Jigme Sholpa were nauseous and felt sick the whole day. Dhondup Lhadar's lips are dry and swollen, Penpa Tsering's back hurts badly and Jigme Sholpa has abdominal pains which makes him cry out sometimes. Dharamshala: - In response to the escalating crisis in Tibet, the Special International Meeting of Tibet Support Groups was held in Dharamsala, India from 16-18 November 2012. The meeting, which was attended by almost 200 participants from 43 countries, was convened by the Core Group for Tibetan Cause – India, and facilitated by the Department of Information & International Relations of the Tibetan Government-in-exile. Paris: - A two-day Tibet awareness activity was held in Le Vigan - Mount Aigoual, in the Languedoc-Roussillon region of South-central France on 22 and 23 September. The event was organised by Tibet-Languedoc, a French Tibet support group along with the support of the municipality of Le Vigan. Dharamshala,11 September 2012: A Tibetan political prisoner who was released last year after serving a three-year sentence is in poor health with multiple health complications, reported his niece, Nyidon, in a recent interview with TCHRD.